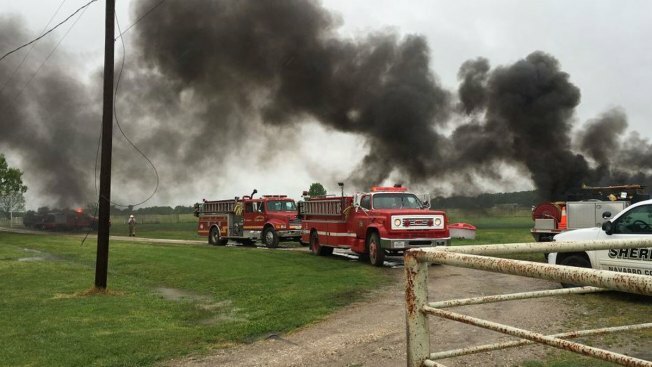 Firefighters and the Navarro County Sheriff's department fought and extinguished an oil tank fire near Retreat on Sunday afternoon. Video Tweeted out by the Navarro County Officer of Emergency Management shows huge flames being fueled by the blaze. Numerous firefighters from various departments after battling the blaze according to Twitter. It appears the fire may have been started by lightning. By 2 p.m. Sunday afternoon, crews had manged to extinguish the blaze.